The Paston Letters are historical documents: true accounts of the time and lives of women living in the late Middle Ages. In general, historical letters help us understand culture, politics, and religion in new and different ways than literary texts or second hand accounts. Even still, the letters can be read for literary elements. While there is a certain amount of self-preservation and self-fashioning evident in the language, the Paston Letters give us images of who the Pastons were in their time and serve as windows into the personal lives of those who wrote them. Just as the early 21st century human is obsessed with social media, letters provide first row seats into the people who wrote the letters. Follow @PastonLetters and tweet your favorite summaries or lines from the text! Choose any Paston letter from Diane Watt’s The Paston Women: Selected Letters. Summarize the intent and content of the letter in 140 characters or less. Make sure to cite the page numbers of direct quotations. Start each tweet with the number of the letter in this format: “No. 5:” Feel free to #hashtag common/catch phrases. Call @ anyone who may be mentioned in the letter. End all tweets with the #Date. An incredibly complex dynastic struggle resulted in civil war in fifteenth-century England. One source of the conflict lay in the marriage in 1420 between Catherine of Valois, daughter of the French king, and the English king Henry V, a union meant to resolve tensions from the Hundred Years War. Henry died two years later. Their son Henry VI eventually came on the throne. Since he suffered from mental illness, his queen, Margaret of Anjou, tried to keep the kingdom together. From about 1453 through the 1470s battles and opposing forces waged war. Ultimately, the Yorkists succeeded in gaining the throne with Edward IV, who married a woman from the gentry class, Elizabeth Woodville—mother to Elizabeth of York. She, in turn, became queen of Henry VII, a Tudor who defeated the Yorkist King Richard III. This marriage ended the War of the Roses, a time when, as Margaret Paston wrote, “Little store is set by a man’s death.”[i] Ultimately Elizabeth of York became mother to Henry VIII. Henry VII’s grandfather had been Owen Tudor, who had secretly married the widowed Catherine of Valois. Fastolf was an English soldier, noted for his services in France during the last phase of the Hundred Years’ War. Fastolf was imprisoned (1450) in the Tower of London on a charge of having contributed to the English failure in France. 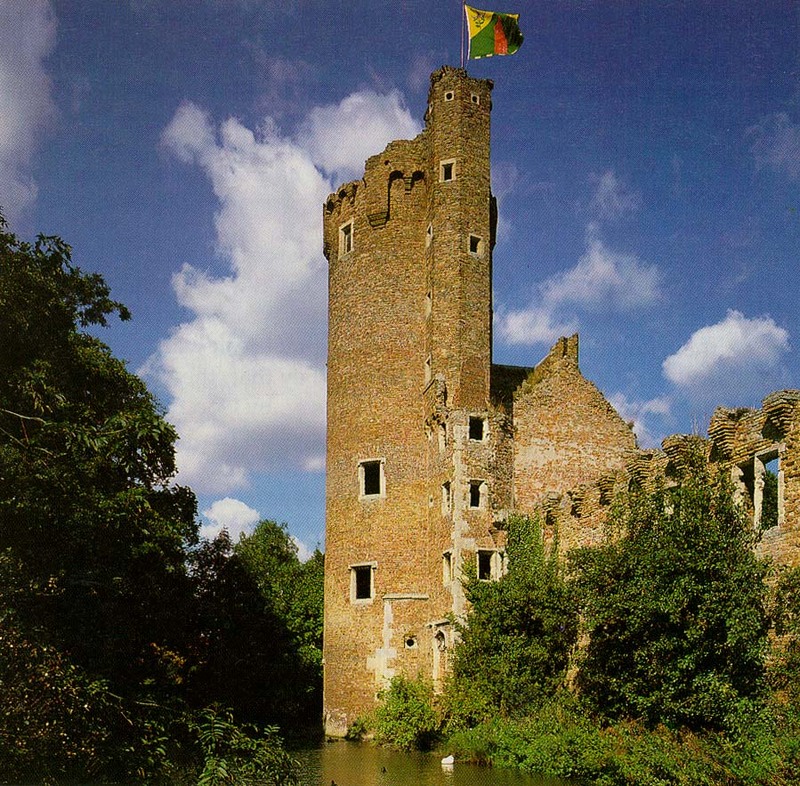 After his release he devoted most of his time to the affairs of his estates, including a magnificent castle in Caister-on-Sea in Norfolk, which he built in 1454 with a fortune gained in the wars. Fastolf died at Caister in 1459, leaving John Paston the executor of his estate. Fastolf is the basis for the character Falstaff in Henry the IV Part I and II, Henry V, and The Merry Wives of Windsor. The Pastons were well known for their rise from commoner to gentry class. The family corresponded by letter through the late 15th century, documenting a picture of life in the late Middle Ages. John Paston’s family tree is documented below. “FASTOLF, Sir John.” (n.d.): Funk & Wagnalls New World Encyclopedia. Web. 7 Apr. 2014. Josephine Koster examines the assumptions that scholars use in approaching medieval texts. In particular, she discusses the assumption that medieval women were largely illiterate. “Illiterate” during the medieval period did not necessarily mean the inability to read and write. Reading and writing were seen as separate skills. You might be able to read but not be skilled in writing. Determining literacy, however, proves difficult in consideration of the secretaries that may been employed by the Pastons. As noted “Margaret Paston’s 104 letters were written in at least 29 different hands; Agnes Paston’s were written in at least eight” (Koster). While this may allude to general illiteracy, it would also lead to an assumption that the Paston women were busy and employed secretaries to whom they would dictate their letters. The secretary hand did not seem to interfere with content. Spedding argues that “Although Margaret’s letters are without exception the product of a secretary’s pen it is the general contention that they represent her own thoughts and syntax and constitute a faithful transcription of her words.” Even at first glance they are immediate in style and often give the impression of having been taken down verbatim from somewhat headlong dictation that has been described as having “many of the features of oral narrative” (Spedding, 241). Technology like the T-Pen help paleographers transcribe manuscripts line by line digitally. This technology allows scholars to work from home from an array of online manuscripts. The possibilities with this technology are endless. And here for more practice! Koster, Josephine A. “‘I Have Traveled A Good Deal In Norfolk’: Reconsidering Women’s Literacy In Late Medieval England.” Postscript: Publication Of The Philological Association Of The Carolinas 24. (2007): 24-39. MLA International Bibliography. Web. 16 Mar. 2014. Koster, Josephine A.1. “The Hand Of The Master: Sexing Paleography In The Paston Letters.” Medieval Perspectives 19. (2004): 206-230. Humanities Source. Web. 16 Mar. 2014. Spedding, Alison. “‘I Shalle Send Word In Writing’: Lexical Choices And Legal Acumen In The Letters Of Margaret Paston.” Medium Aevum 77.2 (2008): 241-259. Humanities Source. Web. 8 Apr. 2014. Summit, Jennifer. Lost Property : The Woman Writer And English Literary History, 1380-1589. Jennifer Summit. n.p. : Chicago : University of Chicago Press, 2000., 2000. Texas State – Alkek Library’s Catalog. Web. 6 Apr. 2014.